I have worked with Frecklebox in the past and got Avery a personalized placemat. That was over 3 years ago and she STILL uses it daily and although it doesn't quite look new, it's still in wonderful condition. It's super easy to wash off/wipe down and it keeps the table clean where she sits. This time around we received something that was very much needed for back to school, the Yubo Lunchbox. When I saw this, I KNEW we had to have it! We received the Santa Cruz print. You put the icebox down first and then the containers fit perfectly in there. Since it's already labeled, it will be super easy once school starts (6 DAYS!!!!). She'll know it's hers since there won't be another one like it in her school, even if there will, the chance of it saying Avery is SUPER slim. I love the uniqueness of it and that nobody else will have it!! I love that it has everything needed already. The large container is just the perfect size for a sandwich and the little containers are perfect for veggies/fruit/cheese etc. Although we may not use all of these containers every day, it is perfect that it's ready to go and you know it will all fit. The lunchbox is great quality. It's heavy duty and durable and I know we'll get at least 1 year out of it. I also like that it's plastic so will be super easy to clean. 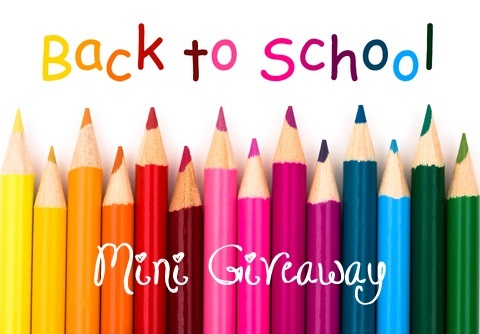 Frecklebox has so many great personalized items for back to school and for every day. Price: The Yubo is $39.95 and the faceplates are $9.95 each. 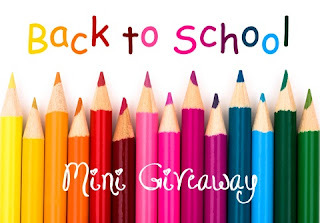 For the Back to School Mini Giveaway, Frecklebox is offering a $30 certificate to one winner. Giveaway will go live on the 30th!